Justine’s started off eleven years ago when Justine Muollo developed a recipe for a biscuit in her Roseneath kitchen that diabetics, gym bunnies and Coeliacs could enjoy. 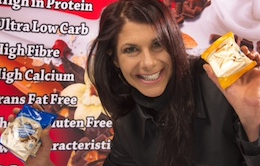 The recipe became a success and the kitchen became too small - Justine’s now manufactures at least 100,000 units of Complete Protein Cookies a week at the Ngauranga factory. They also produce the Biscotti Spoon, perfect for stirring the froth on a latte, scooping up ice cream or creating impressive canapés, and then the best part - you eat the spoon! Original generation time 4.4450 seconds. Cache Loaded in: 0.0554 seconds.